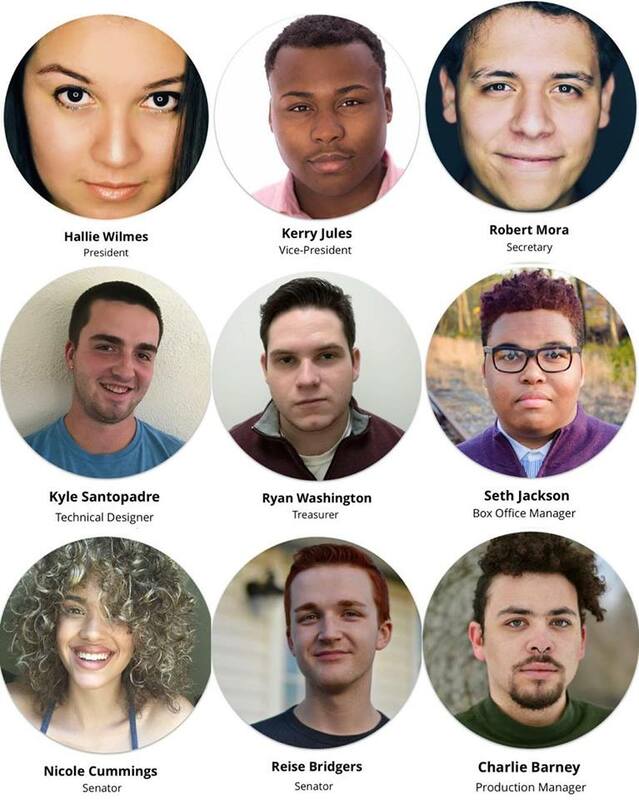 Over the past few weeks, Lab Theatre e-Board (executive board) members have built up their name and reputation through social media with their Facebook, Twitter, Instagram, and Snapchat @RowanLabTheatre. I personally have received follows from all accounts, so great job with the publicity, team! Rowan Lab Theatre, a student-run, student government club, serves as a student-elected, produced and staffed theatre company. The company acts as a practical learning environment for students to explore all aspects of a theatre production. 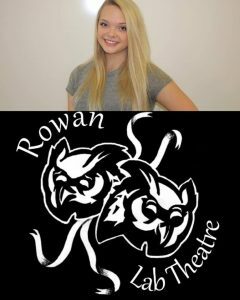 This fall Rowan Lab Theatre launched its new website, created by Vice President Kerry Jules, a junior musical theatre major, advertising minor, from Union, NJ. Taking what he has learned from his advertising classes, Kerry has smartly designed a beautiful website including photos, media mentions, “about the e-Board”, information about upcoming productions and a calendar of events happening throughout the year. 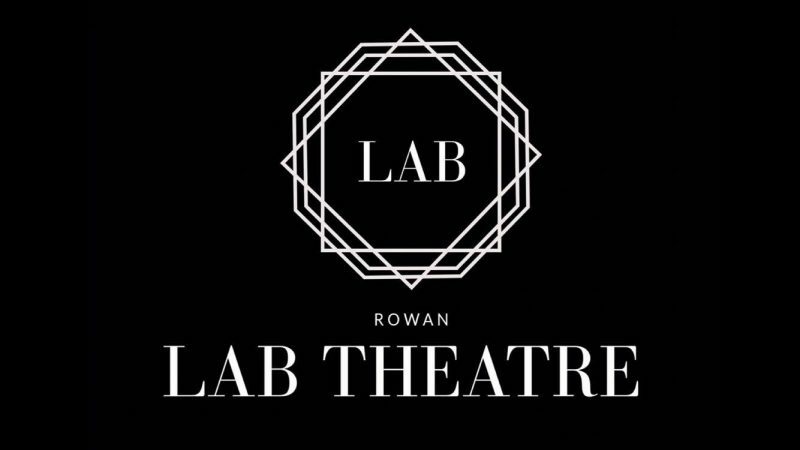 In anticipation of creating a new look and brand for the club, Rowan Lab Theatre held a logo competition over the summer. 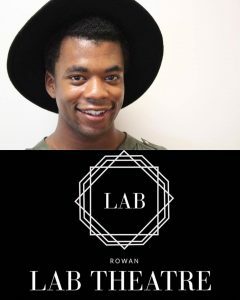 The creators of these winning designs received two free/reserved tickets to each of the lab shows and the opportunity for their artwork to be the face of Rowan Lab Theatre. The winning designs belong to Molly Moore, a sophomore theatre and design tech major from Philadelphia, and Kate Wilburn, a freshman dance major. An explanation of where their inspiration came from can be found on the new website. In addition, the first production of the year will go on stage live tonight at 8 p.m. in the Blackbox (Bunce 159) where all Lab Theatre productions are held. 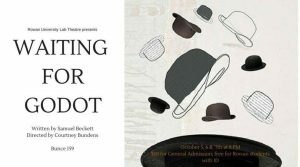 Waiting for Godot, directed by senior Courtney Bundens from Gibbstown, NJ, is filled with slapstick, black comedy, poetry and a whole lot of nonsense in a world of blurred lines. The production aims to expose futility of man’s hope and the search for meaning in this classic piece of absurdist theatre. Tickets are $10 and free for Rowan students with their RowanCard. Seating is limited, so I recommend arriving a little before the house opens to ensure your seat. It’s an exciting day for the College of Performing Arts. Events and productions are always happening, so make sure you stay in the loop and up to date with all things theatre and art here at Rowan University.